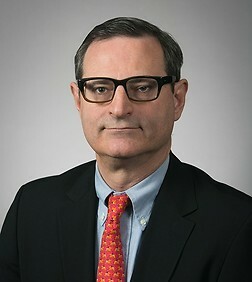 Theodore C. Max is a member of the Entertainment, Technology and Advertising and Intellectual Property Practice Groups in the New York office, where he focuses on counseling clients on intellectual property issues and litigation. He is leader of the firm's Fashion and Apparel team. Mr. Max combines his skill and experience as a trial attorney with his knowledge of copyright, trademark and intellectual property law in servicing the firm's diverse clientele. Mr. Max has lectured widely and authored numerous publications. Authored a chapter in the book, Fashion Law: A Guide for Designers, Fashion Executives & Attorneys, which is entitled "Celebrities and Fashion Models: Endorsement and Promotion Agreements." Authored a chapter in the book, "Inside the Minds: New Developments in Evidentiary Law in New York, 2011 ed. ", Aspatore Publishing, April 2011. "Trademarks in the Veldt: Do Virtual Lawyers Dream of Electric Trademarks?" The Trademark Reporter: The Law Journal of the International Trademark Association, Vol. 101, No. 1, January-February, 2011. Authored a chapter in the book, Intellectual Property Assets in Mergers and Acquisitions, which is entitled "Acquisitions and Licensing of Famous Name Trademarks and Rights of Publicity in the United States." Authored a chapter in the book, Handbook of Fashion Rights, which is entitled "Intellectual Property Protection and Fashion in the United States." Contributed a chapter in the book, The New Role of Intellectual Property in Commercial Transactions, entitled "Available Remedies For Dispute Resolution in International and Domestic Trademark Licenses."